How to install new hard drive best guide. 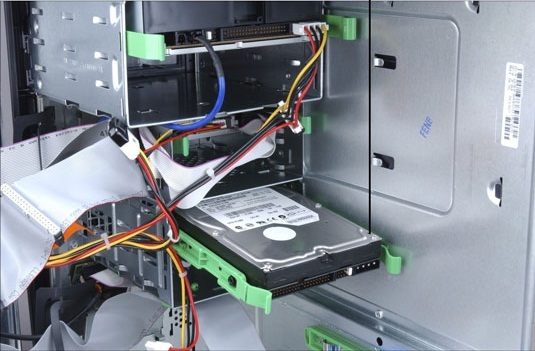 When it comes to a hard drive, your PC can never have enough disk space. You will always be yearning for more since the larger the hard drive space, the more efficient the machine will be. A larger disk space will ensure a quicker transfer of data and also safer storage. At times, you will need to delete other items. The best option is to install new hard drive. Installation of a new hard drive has become a daunting for so many people even up to date. This is due to the physical efforts required and other technological reasons. There are two popular hard drive sizes, which most people use today; these are 3.5 and 2.5 inches. 3.5 inches is mainly for desktops while 2.5 inches is for laptops and compact desktops. However, some all-in-one computers use 2.5 inches hard drives. In case your PC has more than one hard drive bays, the task maybe easier. In this case, you will only need to install the new hard drive followed by cloning of an image of the existing file by the use of the freeware tools available for the installation of a new hard drive. Once this is done, you can remove the old drive and re-format it for use if you still wish to do so. If you are having a single bay, you can still clone the new hard drive to the old one. This you can do by connecting the hard drive to the PC through a USB-to-SATA cable or better still, the external hard drive dock. However, this might take sometime. Laptops are also however not difficult, remove the hard drive plastic cover from the bottom of the laptop first. This has to be done when the machine is switched off. You will need to remove the screws, which hold it and then take it out carefully. After this, you can now place the new one with much care. The data and power cables are mounted onto the laptops and so you do not have to worry about them.